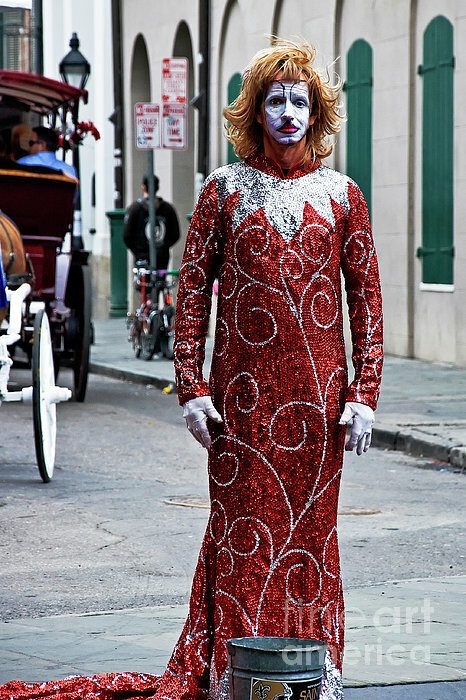 In NOLA last Sept. Photographed this individual on another street. Outside a restaurant that has the sculptures of Pete Fountain and 'Satchmo'. Thank you very much, Taulvydas! 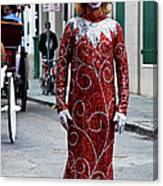 A male mime stands near a corner of Jackson Square in New Orleans. 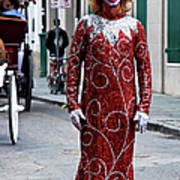 Wearing a long red sequined and silver gown, white face paint, white gloves, he stands behind a bucket with a New Orleans Saint's sticker on it. 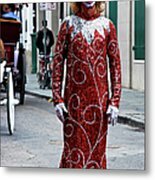 A carriage passes behind him. 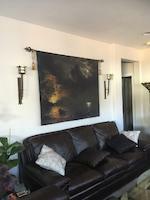 This photo is also available in black and white.